That’s what we had over Spring Break and especially after arriving at our hotel room in Raleigh, NC. We finally delivered on our promise to take Holden to a NHL Hockey game which was no small feat with their strike shortened season this year. I think the kids explored every drawer, closet, nook and cranny. There was so much activity that I had to stop and take a picture. And yes, Hartly spent plenty of time just hanging out in that closet. I used Studio Calico’s Spencer kit for my layout. I love that the energy from the arrow papers matches the energy that was in that room and picture. I just feel sorry for the person who had to clean all those finger prints. Yikes! Too funny! Why do kids love hotel rooms so much when you know your own home is much better? Piper is the same way! Love the cork paper! Those arrows are great! 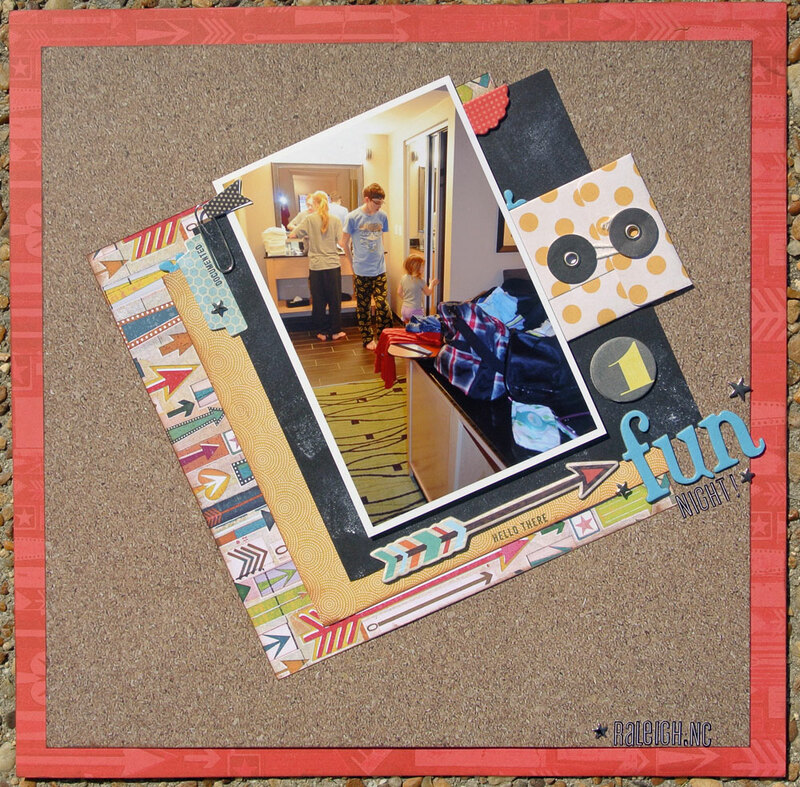 Love how you incorporated the cork paper into your layout!